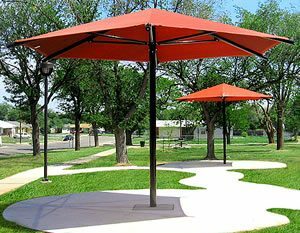 These umbrella shades block out the sun from reaching children on your commercial or home playground. 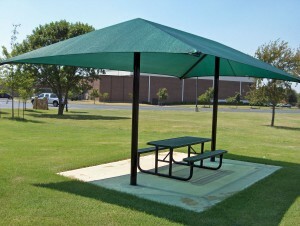 They also keep temperatures down by creating areas of shade. 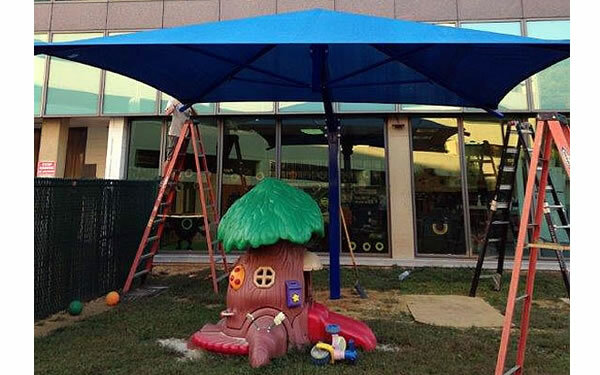 Even better, the single-post design maximizes space under the canopy and keeps the ground free of extra obstacles that children might run into. 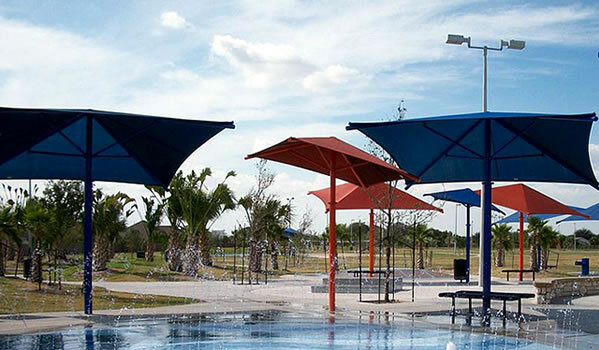 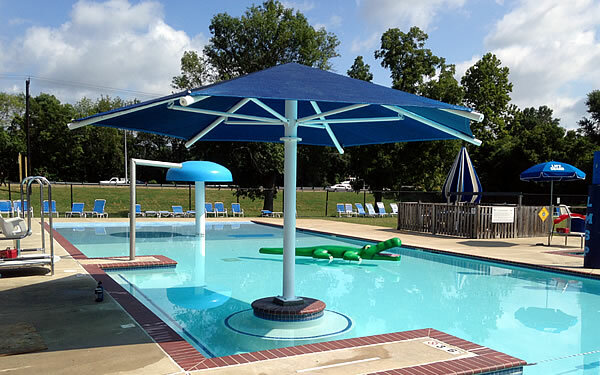 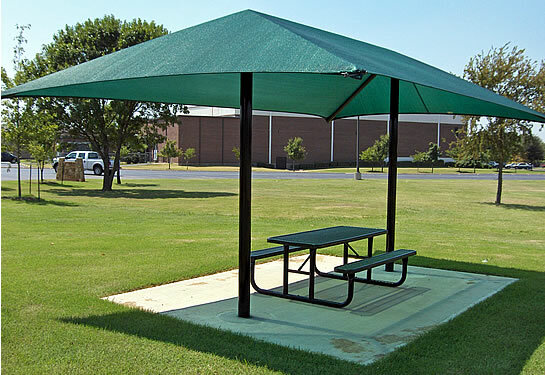 As the sun grows stronger, so does the usefulness of our umbrella shade structures. 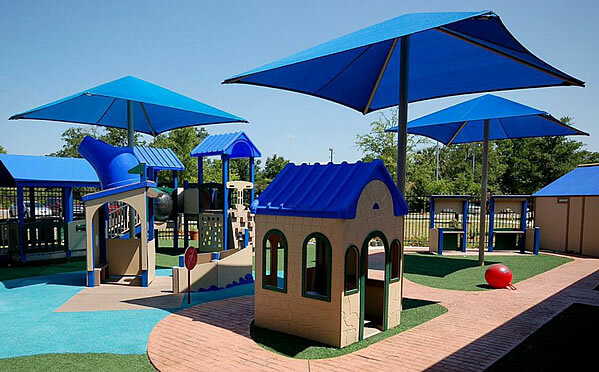 They’re supplied by MD Materials, a leading national playground equipment and services company. 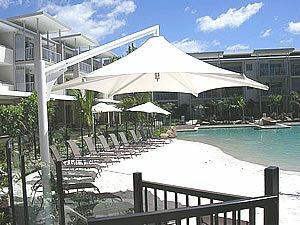 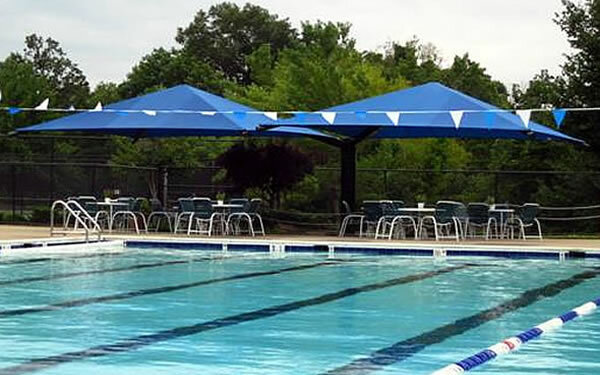 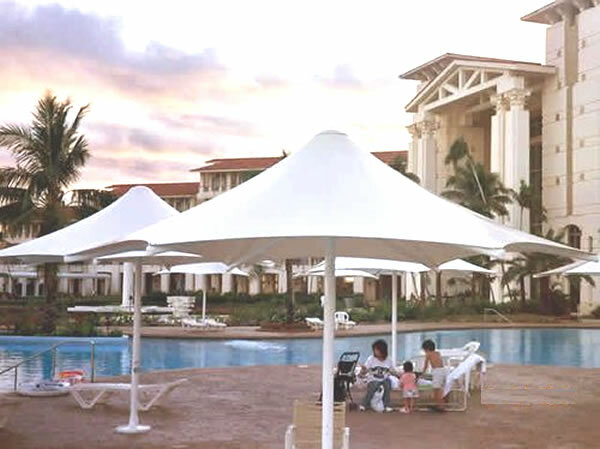 Cantilever umbrellas with square or hexagon canopy (the canopy is suspended from an exterior post).